The candidates in two of the areas contests for the state House of Representatives appeared at an election forum in Park City on Monday evening, covering a range of topics like air quality and education funding. It was a rare opportunity for a Park City crowd to hear from four of the candidates in one setting. Republican Tim Quinn, left, and Democrat Rudi Kohler, beside him, are competing in District 54. Democrat Cole Capener, right, and Republican Logan Wilde, next to him, are the candidates in District 53. 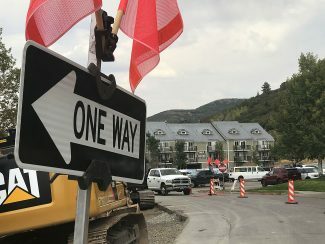 The two candidates seeking the state House of Representatives seat that includes Park City on Monday evening disagreed as they spoke about air quality, a topic that has not been at the forefront of the campaign but one that illustrated a stark contrast between them. Tim Quinn, the Republican candidate in District 54, and Democratic opponent Rudi Kohler briefly addressed air quality. The answers were largely partisan. Quinn was especially aggressive in his response, telling the audience at a candidate forum the EPA has found that Utah meets or exceeds federal regulations regarding air quality. He also said air pollution drifts into Utah from outside of the state. Quinn also said there have been steps taken to improve the quality of the air, including operating a bus system, building carpool lanes and developing a light-rail system in the Salt Lake Valley. There is air pollution even after those steps were taken, Quinn said. Rudi Kohler, though, essentially refuted much of Quinn’s assertions. He appeared especially indignant in his disagreement with Quinn’s claim that the state’s air quality is in line with federal requirements. “We are not meeting the EPA standards,” Kohler said. 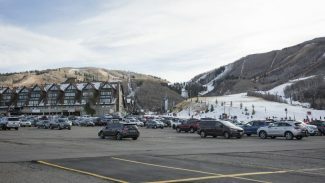 The opponents in another state House of Representatives contest involving part of Summit County also addressed the issue on Monday. Logan Wilde, a Republican, and Democrat Cole Capener are competing in District 53, which includes the East Side of Summit County and parts of the Snyderville Basin. Capener said he wants the state to tighten air-quality regulations on its own. Wilde, though, questioned the overall financial impact of tightened regulations. “What can your economy afford,” Wilde said. 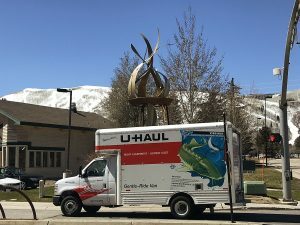 The statements about air quality on Monday evening were made as many in the Park City area remain concerned that emissions, particularly from vehicles, have impacted the area. Traffic has increased markedly over time, and there have been complaints that atmospheric inversions that trap air pollution at lower elevations have started to occur in the Snyderville Basin. State legislators are seen as having more influence on the topic than elected officials on the local level. 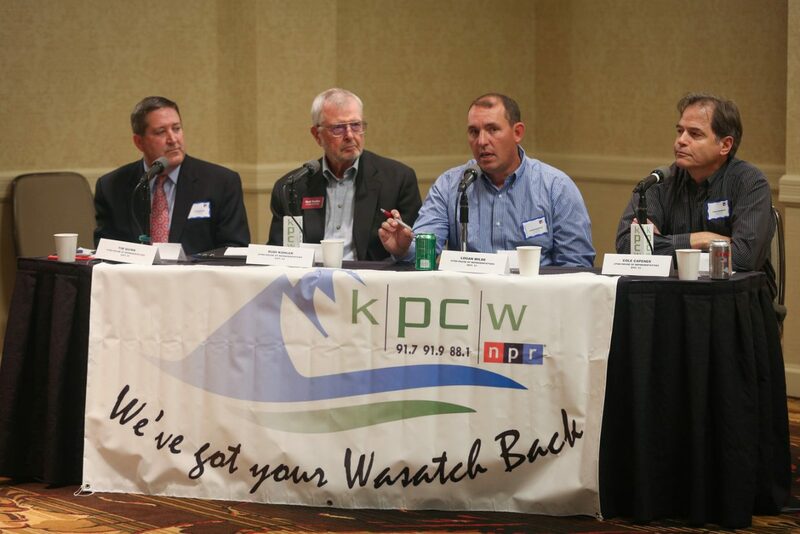 The state-level candidates appeared on Monday as part of a wider election forum hosted by The Park Record and KPCW radio. It was a rare opportunity for the crowd at the Park City Marriott to listen to the four candidates in the two Statehouse campaigns. 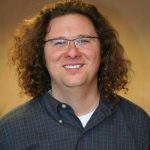 Brian King, a Democrat who is running unopposed in the other state House of Representatives district that covers a part of Summit County, did not participate. The state Senate candidates on the ballot in Summit County also did not participate. There has been interest in both the District 54 and District 53 campaigns. Quinn and Kohler are attempting to succeed the retiring Republican legislator in District 54, the moderate Kraig Powell. Kohler sees an opportunity without the incumbent on the ballot while Quinn envisions a strong showing in the more conservative parts of the district. The District 53 campaign, meanwhile, has been particularly notable as Wilde defeated Mel Brown, a prominent Republican legislator, in the party’s contest for the nomination. Quinn told the audience government regulations drive companies out of business but said Utah has a strong economy. Kohler said he has been interested in politics for 12 to 15 years and said there is a better way to govern. Wilde said he has long been interested in policy issues and described a background in public service in Morgan County. Capener noted the overwhelming Republican majority in the state House of Representatives and said it is not acceptable that GOP legislators hold closed-door meetings. The four also offered comments about education funding in the state, generally providing comments that aligned themselves with party stands. Quinn said he wants to increase funding for education through expanding the economy rather than raising taxes, indicating better training is needed for teachers. Kohler, though, said economic growth on its own would not solve problems in the education system. He said a new tax structure could be considered to bring in more revenues for education, describing a progressive tax system that would especially impact the wealthy. Wilde said there is lots of “micromanaging” of education funds and said school districts should manage the monies. Capener said state Republicans are responsible for the funding levels allocated for education. Capener saying he could be effective as a freshman Democrat in a heavily Republican House of Representatives, indicating he would find members of the GOP who are likeminded. Wilde saying he prefers that the state gun laws remain as they are now. Kohler saying Democratic principles are closer to those held by the Mormon Church than Republican ones are. The comment was in response to a question rather than a part of his prepared remarks. Quinn supporting efforts of the state government to wrest control of federal lands in Utah, saying it would be better if the acreage was managed more locally.